Discussion in 'iPhone and iPad Games' started by NyxTowa, Mar 28, 2019. How fast are invites going out? I got mine last night — I preordered pretty much as soon as it was possible, so that may have made the difference. 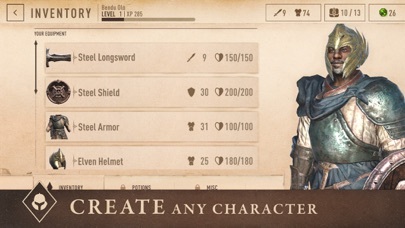 I’m enjoying this, but folks should not expect an open Skyrim experience. 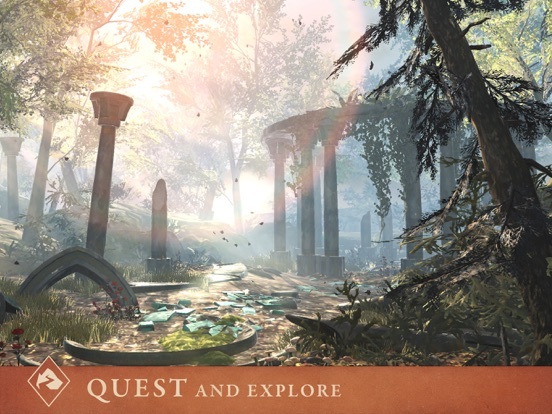 Quests are short (though not as bite size as in the typical Korean/Chinese social RPG — more like 15-20 mins) and focused more on combat and resource collection than on exploration. The objectives do vary (there are rescue missions, for example) and the environments are nicely interconnected (for example, you may look down a balcony and see the a room you can visit below). Dungeons have secret areas, so it pays to pay attention. 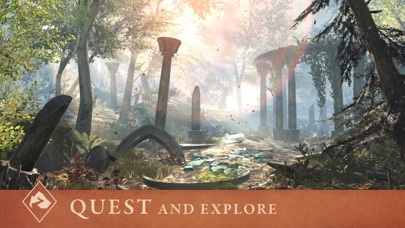 One nice feature is that at the end of quest you can choose to keep exploring. 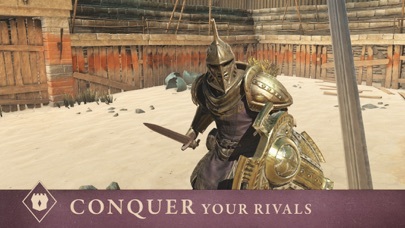 Combat is simple but pretty good, especially by Elder Scrolls standards. There’s a timing/skill component based around parrying and critical hits, and you can wield magic and weapons at the same time (like Skyrim). I wish the enemies aggroed more easily — sometimes it gets kind of silly getting someone to notice you. There is no stealth (so far anyway) and I have yet to see a ranged weapon. Smaller creatures are more difficult to hit, as you would expect, which I appreciate. There are a number of ways to get loot, some more IAP driven than others. There’s stuff you find while exploring, then there are chests of different qualities, often hidden in out of the way places. Basic chests open in seconds, but as you go up in quality wait times add up. You can also buy or craft stuff from a blacksmith (more on this below). Crafting takes time, as does equipment repair. As you would expect, all these wait times can be skipped, as you would expect, with gems you can purchase (you do get some from gameplay, though). Frankly, I expected the IAP to be more onerous: there’s no stamina meter (well, there is, but not the free-to-play kind), you can collect up to 20 unopened chests, there are no timers associated with character leveling, etc. Seems to me that you’ll be able to play solo without spending money. I was surprised to find a pretty robust town building mechanic. When the game starts, your home town has been burned to the ground, and you have to collect resources and rescue citizens to repopulated it. 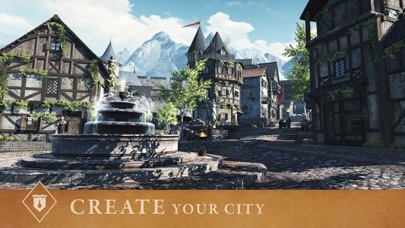 That includes a blacksmith and other stores, which can be leveled up as your town gains reputation. I’m not usually a fan of this kind of gameplay, but I have to admit that it’s fun to walk around your town and see the progress you’ve made. By the way, the visuals on my XS are very good — certainly better than Skyrim on Switch. 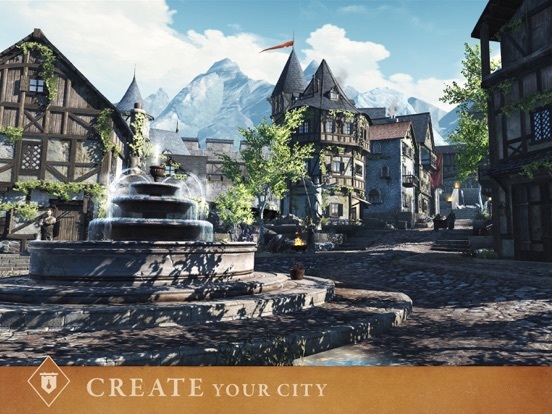 This is not open world, so the comparison is not quite fair. Being build specifically for the platform (rather than a ported) makes a difference. Performance is smooth, too. Overall, this is both more and less than I expected. The closest comparison is something like Dead Trigger 2, but with more depth and variety. 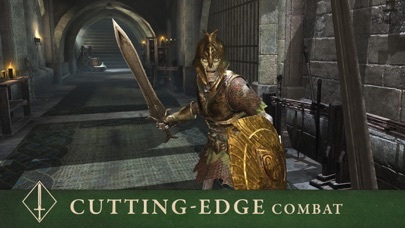 Compared to Ravensword 2, this is a fairly shallow experience, but it’s certainly entertaining — at least in the 2 hours or so I’ve put into it. houseofg and Asp like this. I have an iPad Air (gen. 1). It is listed in the compatible list. However after loading the game states "device not supported". might that be a problem with my device OR because I havent got an invite yet??? I had registered for the closed beta, but never got an invitation. I downloaded this, and was able to play. I never got a notification that I was eligible. Same. I got the notification from the app store that my pre-order was ready but when I signed in I was able to play it under my Early Access. But Bethesda never emailed me that I could. So far I'm loving it. 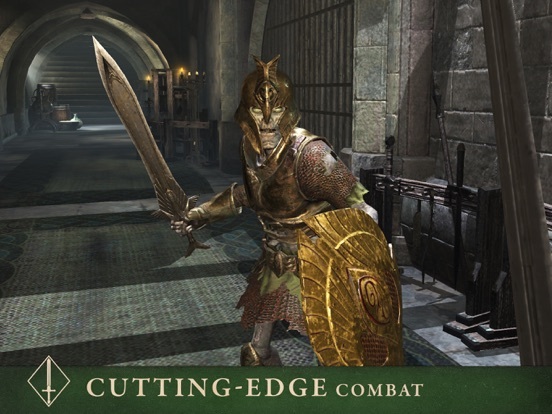 Feels like the next best thing to a new Infinity Blade game and I really like the base building aspect and the little bit of a story line. Feels like there are some mysteries to uncover. For a F2P AAA game I couldn't ask for much more. IAP aren't bad and I already bought a pack to support the devs. No timers other then the chests that feel like Clash Royal. They don't stop you from playing more and the 10 capacity isn't bad and can be upgraded for very few gems to 20. 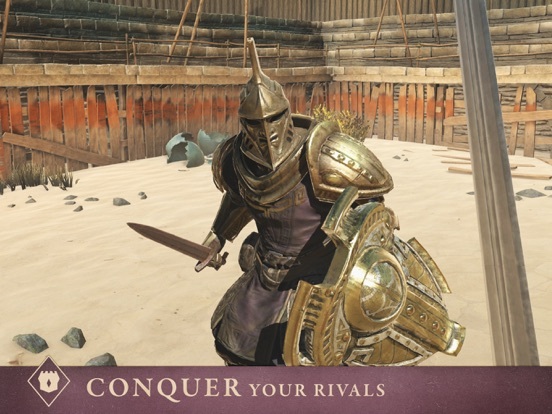 Bethesda is showing they are good at creating a F2P game with IAP that are not predatory. I got a notification from Bethesda that my pre-order was ready but when I sign in with my Bethesda account it says they are letting people in slowly and stops me from doing anything else. Really strange I didn’t get the email I got the iTunes email is that what you’re talking about? 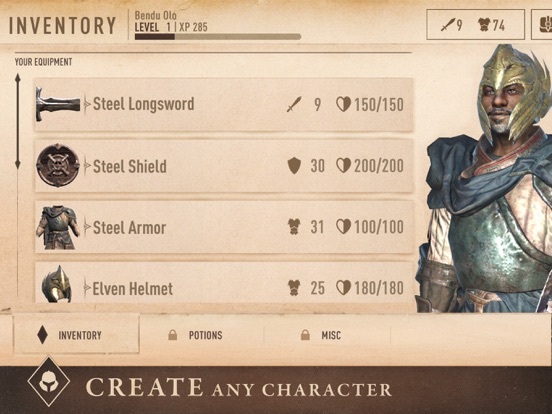 This games chest system needs a serious rethink Bethesda, please. For those curious this is how the chest system works. While running dungeons and also sometimes as quest rewards you receive loot chests. They come in a variety of quality colors and the better the quality color the better the randomly generated loot inside is likely to be. The problem is you can only be 'unlocking' one chest at a time. And the better the quality, the longer the timer (timer length jumps up dramatically, like grey chests are 5 seconds, silver next tier up 3 HOURS). And then there is a limited amount of chests you can hold on you at a time, and you can only upgrade that chest-carry-limit with real money crystals. Also there is no sell option to clear your inventory of lower quality chests to make room for better ones. All that means, if your in a dungeon and you see a chest but are at max chest-carry-limit, you can't loot the new one (edit : your given the option to crystal insta-open the new found chest, abandon it, or increase your inventory). And since you can only 'unlock' one at a time you will be coming back to the game every 3 hrs (for silver quality, longer for better quality chests) to unlock and start the next unlock. 1. all chests silver or better are actively 'unlocking' at the same time but at half normal speed. This is the most f&cked up release of a game i can remember on ios from the time i got my first ios game back in 2010. An early access that still remains early access even after release, a mail i never got but i am able to play the game even though i never got invited and a loading screen followed by a short battle i played almost 10 times that seems like a nightmare. Coming from such a big company like bethesda makes it even worst. Delays upon delays an so on about the release date in the App store. Reading many comments at the official facebook page many people are pissed of about the compatibility for their devices either from the misleading "your device is compatible" from the appstore or the false compatibility they had before the game released. Many others never applied for closed beta but were able to play almost immediately and others that signed up the moment they were able to do so months ago can not play the game even now. I myself never got an email that i can play the game but i opened it two hours ago i tried to sign in and it let me play. Still waiting for that email lol. As far as the game goes i like it. I do not care that it is not open world movement is kinda difficult but nothing seriously bad. I am early in the game but i love the visuals. Hope it stays simple and beautiful as it is now. Agreed. I applied for access long ago. Never got an email and can’t get in. Really bizarre roll out. After their other online releases and issues early on it dosent suprise me that they are both going 'early access' route and staggering the invites. For the latter they are probably closely monitoring the servers, god knows what a bad online game release is like when half the world (sarcasm) decides they want to play on day one. The former? They've learned their lesson with Fallout 76's on going incomplete state and misadvertised state of the game. Early Access just means, 'expect bugs and changes over time'. I preorder but never signed up for anything otherwise. AppStore Notified me game was available. Short download. Started with combat tutorial followed by message to keep notifications on and they’d let me know when I can play. agreen437, Vash85, squarezero and 1 other person like this.